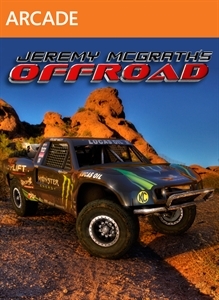 Jeremy McGrath’s Offroad is an arcade game that features off-road action racing in various vehicles such as Rally Cars, Pro Buggies and Pro LiteTrucks. 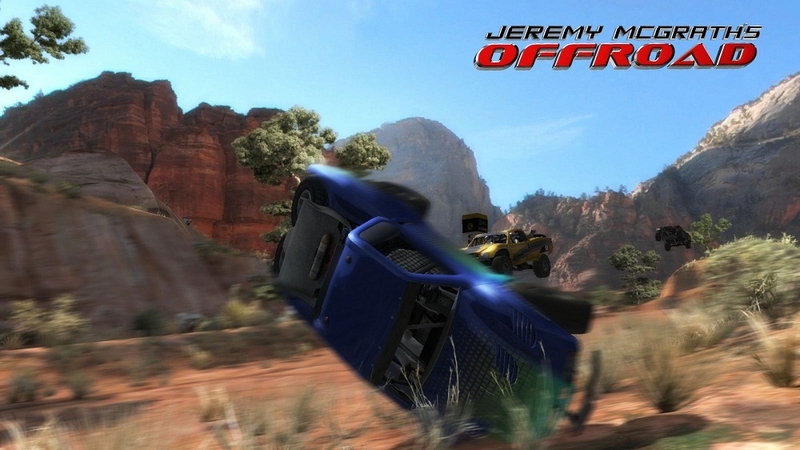 The game has three modes of play, Arcade, Career, and Multiplayer, with different options available in each mode. 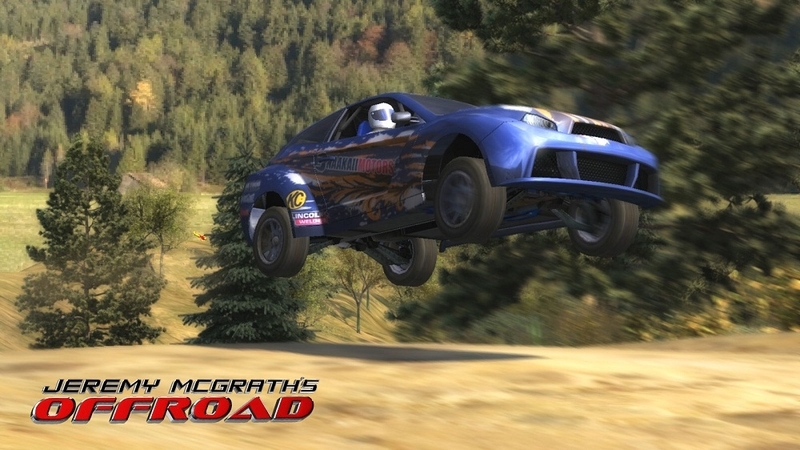 For $10 you’ll have a fun racer with 8-player online support, a smooth frame rate at 60fps, and frequent tips given by your assistant driver and Jeremy McGrath himself. Controls in the game are simple enough. You can use the clutch at specific times for an extra boost, brake at long corners for drifts to maintain speed and control, and multiple camera options to adjust the want you want to see the vehicle and track. 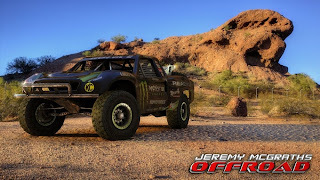 Career mode was the main place I spent my time with the game, and it has multiple events that utilize each vehicle fairly well. Rally cars we’re my favorite to use because of their speed and drift-ability, but the Trucks do a good job of maintaining stability on the more difficult tracks. After races have been completed and no matter your finishing place in the race, you’ll earn XP to upgrade your vehicles. XP is earned in many different ways including driving for a certain number of miles, your place in the race, and the drifts you perform. The XP can be put into Braking, Increasing your top speed, acceleration, and handling to name a few. Events seem to go by quickly, but the core racing element is fun and you’ll be hopping from vehicle type every few races. Completing all of the events in Career took me about 1½, so its pretty quick, but there is still multiplayer and Arcade mode where you can race against your ghost to beat your time as well as earning an achievement for it. One major bummer about the game is that there is no offline multiplayer support. 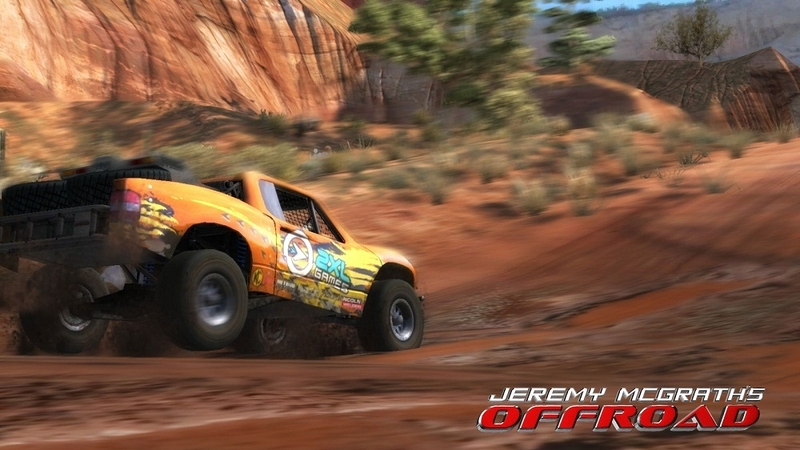 Off-road racing is a bit more relaxed than Gran Turismo type games and one that is more accessible to different types of players, so the lack of this feature was disappointing. $10 gets you a fun and relaxed racer, different types of vehicles to use, and a game that looks just as good as retail games with similar experiences. 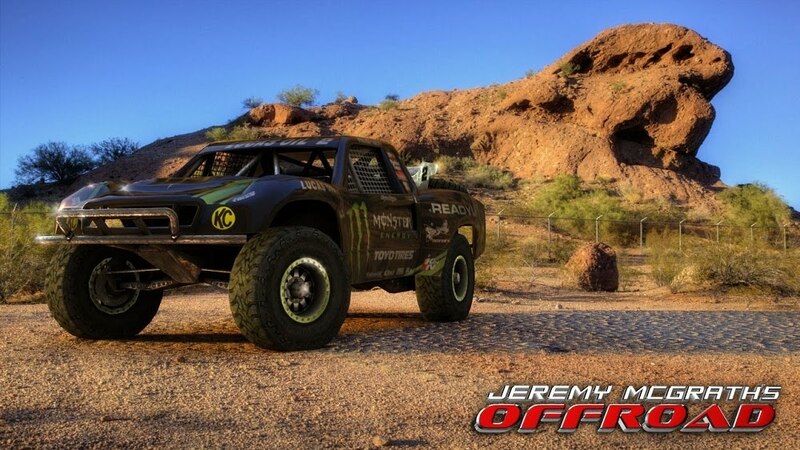 If you’re a fan of the Dirt or Collin McRae games, you’ll be right at home with Jeremy McGrath’s Offroad. 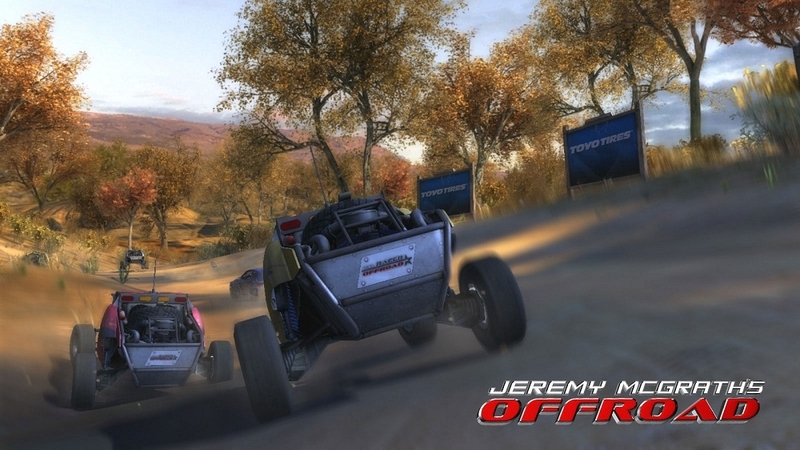 This review is based on the Xbox 360 (Xbox Live Arcade) Version of Jeremy McGrath's Offroad. A copy was provided for review purposes by the publisher (D3Publisher).